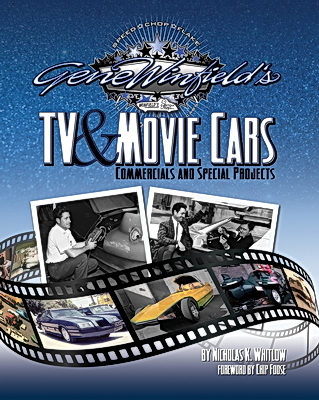 Gene Winfield's TV & MOVIE CARS, Commercials and Special Projects is now available for purchase. This hardbound publication is 8-3/4" x 11-1/4" with 254 pages and over 500 photographs. It features 8 pages about The Man from UNCLE car and 4 pages about the AMT Piranha cars. Copies signed by the author are available for $49.00 including free shipping via Media Mail in the USA. Contact Nicholas Whitlow at Nkw1965@aol.com to get yours.